society is a group of individuals involved in persistent social interaction, or a large social group sharing the same geographical or social territory, typically subject to the same political authority and dominant cultural expectations. i)Interdependence: Society implies interdependence. It is another essential element to constitute society. It is not possible for human being to satisfy his desire in isolation. He cannot live alone. He needs the help of others for his survival. Society fulfills all the needs of the people. ii)Cooperation: Cooperation is also another essential element to constitute society. Without cooperation, no society can exist. If the members of the society do not work together for the common purposes, they cannot lead a happy and comfortable life. iii)Conflict: Conflict is an ever present phenomenon present in every human society. Not only cooperation but also conflict in necessary for the formation of society. They must coexist in a healthy society. Conflict is a process of struggle through which all things having into existence. iv)Likeness: Likeness of members in a social group is the primary basis of their mutuality. May be in the beginning assumed or real common lineage, tribal affinity, family benefit or the compactness due to a common to time inculcated between and among the members in the group the feeling of likeness. Likeness means mutuality, and that means Society. Communalism: This is a social, political, economic arrangement in which landed property and other natural resources of a given society are collectively owned, managed and togetherly improved by the community for the common interest of everybody. i) There is no collective ownership of resources. ii) There is room for exploitation. iii) There is a provision of annual tributes paid by the tenants to the Lords. iv) Tenants hold lands in trust for the Lords. i) There is collective ownership of resources. ii) There is no room for exploitation. iii) There is no annual tribute paid. iv) There is collective ownership and management of land. iv)Racial segregation : Discrimination against the natives was mostly witnessed in the 20th century in Nigeria. i)Language barrier There are three languages that are used for communication within the ECOWAS bloc, that is English, French and Portuguese. ii)Human Rights Abuses Another problem of the ECOWAS group is the penchant of the member states to abuse the human rights of their citizens. The human rights records of some member states is nothing to write home about. iii)Financial problems The aims and objectives of the ECOWAS can only be achieved when the financial base of the community is solid. However, some member states are not able to honour their financial obligations to the community. or two that now belong to the ECOWAS group. v)Widespread Poverty: Many of the member states of ECOWAS are among the poorest of the poor nations in the world. Many of their citizens earn less that a dollar a day. 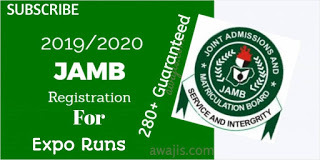 0 Response to "WAEC 2018 Government Obj And Essay Answer – May/June Expo"